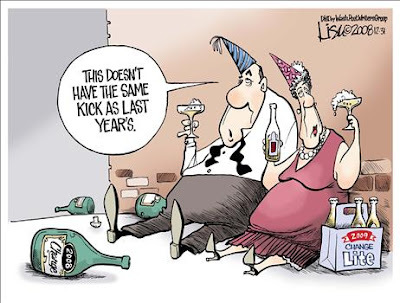 Tags: 2008, cartoons, Lisa Benson, political cartoon To share or post to your site, click on "Post Link". Please mention / link to America's Best Choice. Thanks! Posted by Bill Smith : Post Link --> 10:16 PM 0 Comments - Share Yours! Posted by Bill Smith : Post Link --> 1:30 PM 0 Comments - Share Yours! by Walter E. Williams, FrontPage Magazine: Americans have been rope-a-doped into believing that global warming is going to destroy our planet. In July 23, 2007, CNN’s Miles O’Brien said, “The scientific debate is over.” Earlier he said that scientific skeptics of manmade catastrophic global warming “are bought and paid for by the fossil fuel industry, usually.” The global warming scare has provided a field day for politicians and others who wish to control our lives. After all, only the imagination limits the kind of laws and restrictions that can be written in the name of saving the planet. That’s a vital question for Americans to ask. Once laws are written, they are very difficult, if not impossible, to repeal. 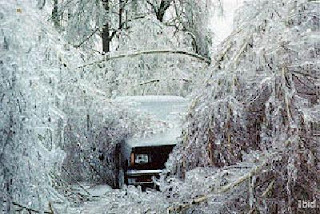 If a time would ever come when the permafrost returns to northern U.S., as far south as New Jersey as it once did, it’s not inconceivable that Congress, caught in the grip of the global warming zealots, would keep all the laws on the books they wrote in the name of fighting global warming. Personally, I would not put it past them to write more. See also: Whatever happened to global warming? Posted by Bill Smith : Post Link --> 8:19 PM 0 Comments - Share Yours! 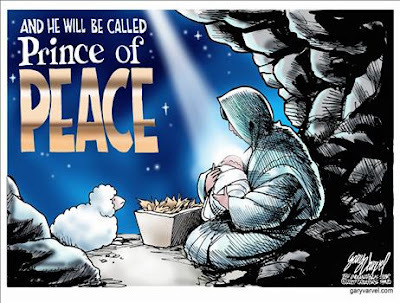 Tags: 2008, Christmas, Gary Varvel To share or post to your site, click on "Post Link". Please mention / link to America's Best Choice. Thanks! Posted by Bill Smith : Post Link --> 8:00 AM 0 Comments - Share Yours! Posted by Bill Smith : Post Link --> 8:50 PM 0 Comments - Share Yours! Posted by Bill Smith : Post Link --> 5:46 PM 0 Comments - Share Yours! And Congress just ended the year by giving itself a 2.8 percent pay raise. The $4700/member raise would go into effect in January of 2009, raising the average congressional salary to $174,000. 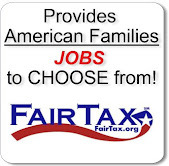 The raise is part of an automated process incorporated in a bill Congress passed in 1989. While some members of Congress sponsored legislation to stop the pay raise, it failed to gain enough support for passage. Concerned citizens of diverse organizations are decrying the raise, given the state of the nation’s economy and the performance (or lack thereof) of the members of Congress. The Senior Citizen League’s Daniel O’Connell spoke out against the hypocrisy of the raise. “As lawmakers make a big show of forcing auto executives to accept just $1 a year in salary, they are quietly raiding the vault for their own personal gain,” he stated in a press release by the organization. Both the Senior Citizen’s League and CAGW—among others—have called for Congress to freeze its pay. And there’s actually some (limited) precedence for such an act of conscience. Under intense pressure, lawmakers froze pay in 2000, and again (temporarily) in 2006. Beyond the pay raise issue, however, this controversy reveals something deeper about Congress—their attempts to go out of the way to avoid blame for unpopular measures. In other words, unwillingness to take responsibility. If Congress truly wanted to be held accountable, they would vote each time they wanted a pay raise. If the people thought they performed well—a good source might be approval ratings—then they could consider a small raise. But if their performance is unpopular—and ineffective, as it is now—they have no business lining their own pockets after picking the nation’s. Yet in spite of—or rather because of—this fact, Congress has attempted to shirk much of the blame that would arise had they actually voted on the pay raise. Vacationing members of Congress, besieged by enraged constituents, will be able to honestly say that they “did not vote for the pay raise.” While technically true, it would also true that they did nothing to stop it, but rather allowed it to happen unopposed. The few who attempted to repeal the 2008 raise should be commended, as well as those under the table and who voluntarily decline the pay raise. But the remainder—the majority—of Congress must know that it will be held responsible for its actions. Once the American people see through their duplicity, they will reward their actions with something less flattering than a pay raise. Perhaps, if fairness ever asserts itself, Congress could even reduce its pay by the same percentage it exceeds its budgets. And, perhaps, pigs will one day fly. Tags: ALG, Americans for Limited Government, ARRA, pigs fly, US Congress To share or post to your site, click on "Post Link". Please mention / link to America's Best Choice. Thanks! Posted by Bill Smith : Post Link --> 6:03 PM 0 Comments - Share Yours! [Dr. Bill Smith, ARRA Editor: The following guest article by Paul Jacobs, a friend, a supporter of limited reponsible government and a fellow Sam Adams Alliance member, is also available on Townhall.] by Paul Jacobs: We've had our fun sniping about how corrupt the state of Illinois can be, how Gov. Rod Blagojevich is just the latest from a state noted for its smoke-filled rooms, payola, and double-dealing. But we risk overlooking the real issue: It's not that Illinois is especially corrupt. It's that power tends to corrupt and every governor faces temptation. Many succumb. Journalists report news, and news amounts to a politician getting caught. A politician raising money in the ways politicians usually raise money is definitely not news, even if politics as usual has all the ethical uprightness of the Tower of Pisa. The truth is, it's hard to raise money in politics . . . if you are out of power. I know. I have been involved in fundraising for ballot measures or lobbying efforts around the country. It's not easy. All I can offer is a chance to change public policy. Sitting politicians, on the other hand, have huge advantages. Their duties include passing legislation and handing out lucrative government contracts that pack quite a wallop to the wallet. Incumbent politicians are positioned perfectly to say, "You have to pay to play." 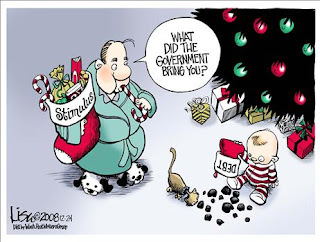 Government has powers for which some folks will pay a lot. A politician could make a lot of money for providing such private services attached to public goods. It's understandable. Renting a politician's services can go a long way to increasing one's own wealth. And, moreover, the politician's wealth. Most ways of paying are legal, though often ethically questionable. Some ways -- more blatant and obvious -- can be illegal while remaining hard to catch. Politicians know which words to use in avoiding a literal quid pro quo statement. Blagojevich suffers, now, from his bluntness, his gruff, vulgar corruption. But every politician is tempted with similar activity. Blagojevich serves as the tip of a much larger iceberg. Most just play it more subtly. So, Americans outside Illinois have no reason to gloat. The fact that their governors haven't been arrested does not mean their governors are not also dirty. Just, perhaps, more clever. Of course, some politicians are honest. Most people don't get into politics for the money. They get into it to "do good." Inevitably, politics is run on money, and money often becomes the only gauge some people can find for "goodness." And, my goodness, does this standard have awful repercussions. The longer a person stays in strategic loci of power -- that is, in office, or in bureaucracy -- the more that person will see funneling money through government as the solution to every problem. If all you have is a hammer, everything soon looks like a nail. Some folks are more resistant to this education in nail-pounding than others. This is a matter of personal psychology, I suppose, as well as personal morality. It helps if you make a public stand to resist the process. Self-term-limiters like Dr. Tom Coburn come to mind (as does the fact that public support for congressional term limits is at an all-time high). It also may help to know something of economics, for instance -- that is, the economics that recognizes limits to knowledge. To understand the complexity of that fabled beast, "the economy," and then to realize that no prediction can be certain helps inoculate oneself from schemes to control it all with varying amounts of power fueled by increasing amounts of money. Governor Blagojevich surely deserves the hammering he's received in recent days. But it is important to hammer home a much broader point. Power corrupts. Politicians (being human, only more so) are susceptible to this corruption. Good government requires that citizens have practical ways to nail down the power of politicians. I bet there are politicians who worry that Bagojevich's latest bit of corruption might cause citizens to look more closely at all the rest. Posted by Bill Smith : Post Link --> 11:16 AM 0 Comments - Share Yours! by Stephen Clark, Fox News: As Americans across the country grapple with one of the worst financial crises since the Great Depression, members of Congress quietly are getting a pay raise. Each lawmaker's annual salary is due for a $4,700 cost-of-living increase starting in January, which will amount to a cost to taxpayers of $2.5 million in 2009, infuriating watchdog groups. "Members of Congress don't deserve one additional dime of taxpayer money in 2009," said Tom Schatz, president of the Council for Citizens Against Government Waste. "While thousands of Americans are facing layoffs and downsizing, Congress should be mortified to accept a raise," he said in a written statement. Members of Congress make an average of $169,300 a year, with Congressional leaders making slightly more. House Speaker Nancy Pelosi, D-Cailf., makes $217,400, while the majority and minority leaders in the House and Senate each make $188,100. The raise will increase the average salary to about $174,000, up 2.8%. Pelosi's and Senate Majority Leader Harry Reid's offices did not respond to FOXNews.com's requests for comment. Pay raises for public officials, whether at the federal, state or local level, usually spark outrage among taxpayer advocates. But the deepening financial crisis has led even a few lawmakers to object. Earlier this year, Rep. Harry Mitchell, a first-term Democrat from Arizona, introduced legislation that would have stopped the automatic pay adjustments from kicking in for members next year. But the bill, which drew 34 cosponsors, died in committee. Two other members of Congress, Rep. Dan Burton, R-Ind, and Rep. Gresham Barrett, R-SC, also tried to block the wages but didn't get very far. Burton plans to return his pay increase to the Treasury Department. "As we face the most challenging economic crisis in our history, and with many Americans and Hoosiers enduring personal financial hardships, I am opposed to any pay increase for members of Congress in 2009," he said in a written statement. He said he'll try again next year. Lawmakers have received automatic raises since 1989. As part of an ethics bill, Congress gave up its ability to accept pay for speeches and made annual cost-of-living pay increases automatic unless lawmakers voted otherwise. Lawmakers have rejected pay raises six times since then, most recently last year, when Democrats, newly elected to the majority, had vowed to block an increase in their paychecks until Congress raised the minimum wage. For the past eight years, Rep. Jim Matheson, D-Utah, has been trying to end the automatic salary hike for House members, arguing that spending priorities in a time of war and economic crisis do not include pay raises for lawmakers. Matheson wants to put the automatic pay raises to a vote. "At a time when people are losing their jobs, their homes and their retirement, I think the least we could do is openly debate whether we should take the pay increase this year or do some belt-tightening," he said in a written statement. As he has done for the past eight years, Matheson plans to donate his pay raise to charity, his spokeswoman said. The Senior Citizens League asserted the pay raise would rank each lawmaker in the top six percent of American households. "As lawmakers make a big show of forcing auto executives to accept just $1 a year in salary, they are quietly raiding the vault for their own personal gain," the group's chairman, Daniel O'Connell, said in a written statement. "This money would be much better spent helping the millions of seniors who are living below the poverty line and struggling to keep their heat on this winter." The group estimates that a senior receiving average benefits will get a $63 monthly increase to just $1,153 per month next year, increasing their annual total to $13,836. The pay raises come as the economic recession deepens. The economy lost 533,000 jobs in November, bringing the unemployment rate to 6.7%. Posted by Bill Smith : Post Link --> 5:20 PM 0 Comments - Share Yours! 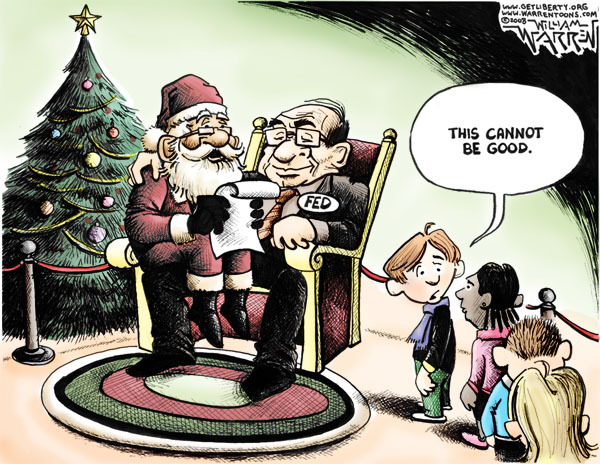 Federal Government Theft Exceeds Bernie Madoff's! 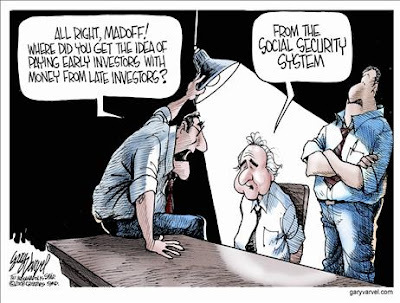 H/T ARRA News: See also: What Did We Learn From Madoff? Posted by Bill Smith : Post Link --> 10:20 PM 0 Comments - Share Yours! by Kerby Anderson, Point of View: If you haven't noticed people move around quite a bit. And I am not just talking about your neighbors who drove off the other day in a U-Haul truck. I am talking about the realignment of America. I think we have all heard that the U.S. population is lowing from the Snow Belt to the Sun Belt. But Michael Barone explains that the trends are a bit more complex than that. Let's start with what he calls the "Coastal megaloplises" (New York, Los Angeles, Miami, etc.). Here you find that Americans are moving out and immigrants are moving in with a low net population growth. Contrast this with what he called "the Interior Boomtowns." Their population has grown 18 percent in six years. And this means that the nation's center of gravity is shifting. Dallas is now larger than San Francisco, Houston is larger than Boston, Charlotte is now larger than Milwaukee. Another section would be the old Rust Belt. The six metro areas (Detroit, Pittsburgh, Cleveland, Milwaukee, Buffalo, Rochester) have lost population since 2000. And you also have "the Static Cities." These 18 metropolitan areas have little immigrant inflow and little domestic inflow or outflow. The political impact of this realignment is significant. Many of the metro areas voted in significant proportions for John Kerry in 2004 while the Interior Boomtowns voted for George W. Bush. But there is more at stake than just the presidential election. In less than two years we will have another census, and that will determine congressional districts. House seats and electoral votes will shift from New York, New Jersey, and Illinois to Texas, Florida, Georgia, Arizona, and Nevada. Social scientists say: "Demography is destiny." That is a simple way of saying that demographic changes alter our future. But you don't have to be a social scientist to see the impact. We all know that people move around, and that changes the political landscape. I'm Kerby Anderson, and that's my point of view. Posted by Bill Smith : Post Link --> 10:05 PM 0 Comments - Share Yours! Better Be Good . . .
Posted by Bill Smith : Post Link --> 7:00 PM 0 Comments - Share Yours!